Ah the enemies is in our base! 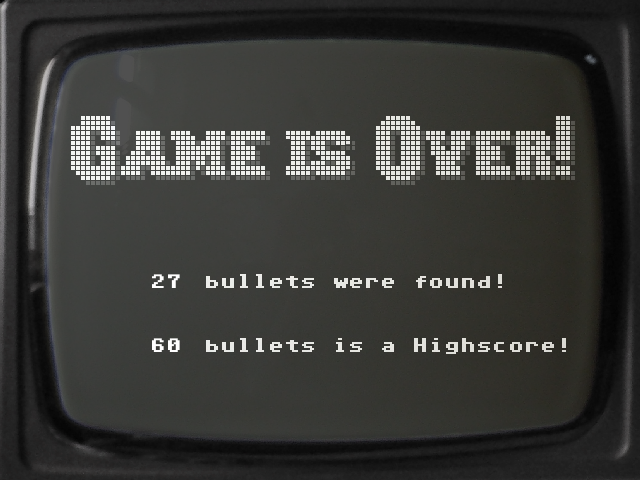 We need many bullets! Go and get it from boxes! 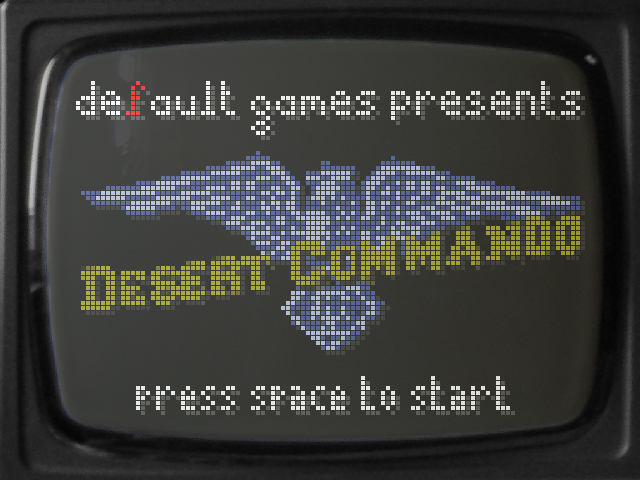 Desert Commando is a retro arcade-style Action RPG minigame, with authentic 1980s graphics and music. 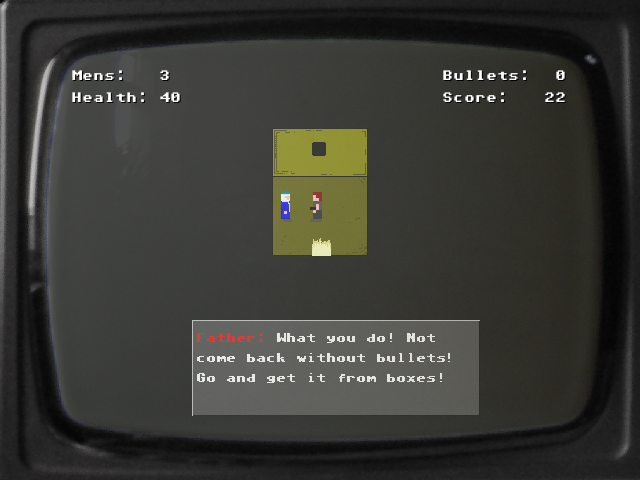 It's a rather simple game: collect bullets and either bring them to your father to increase your score, or use them to shoot enemies. 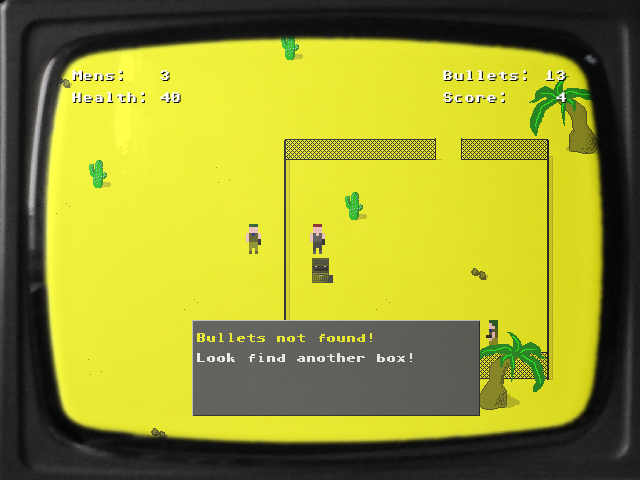 It features 3 difficulty levles and Very Many Bullets!